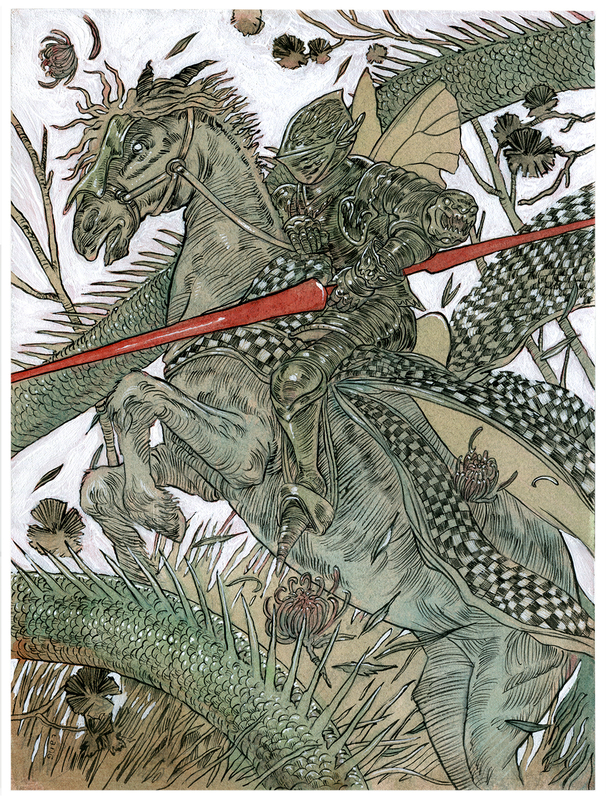 ‘The Saint and the Dragon’ is a painting inspired by the legend of Saint George. 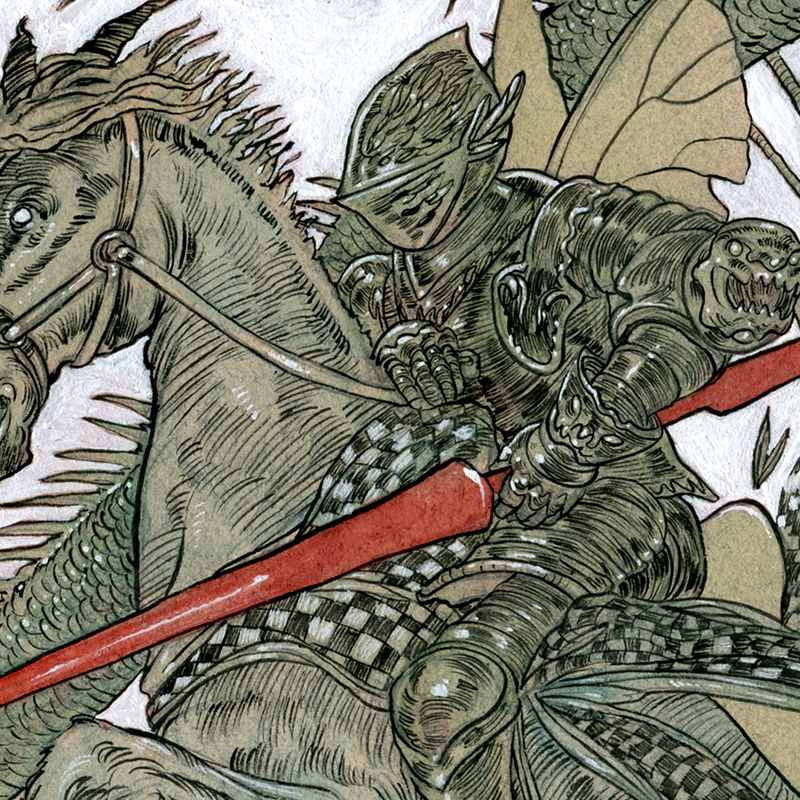 In this illustration, the knight in whimsical armor battles a dragon while atop his horse. Flowers, leaves and debris are in the air while the fight rages on. 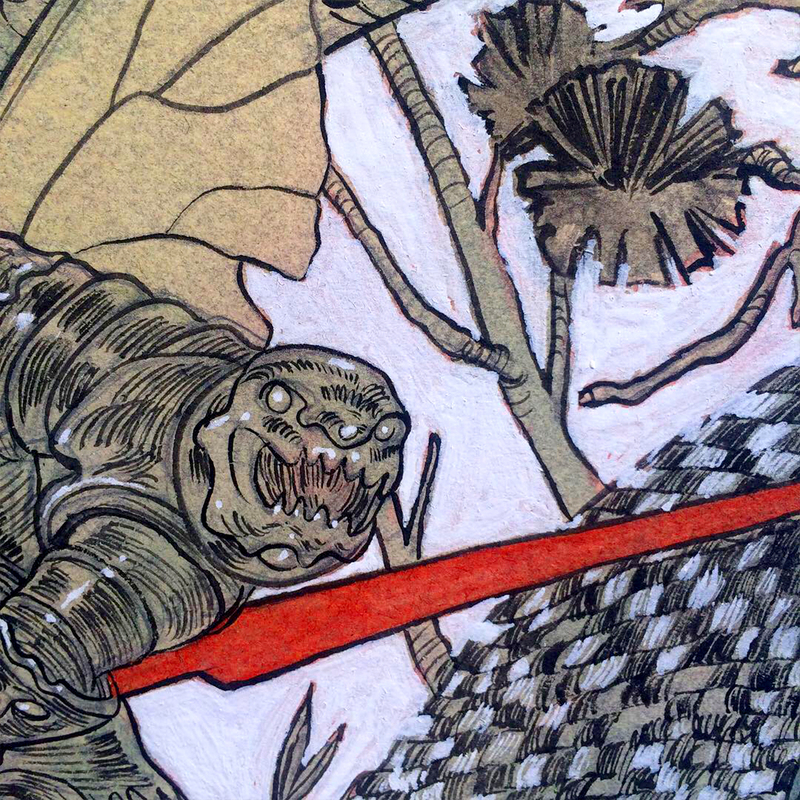 The painting is ink, gouache and acrylic on illustration board. 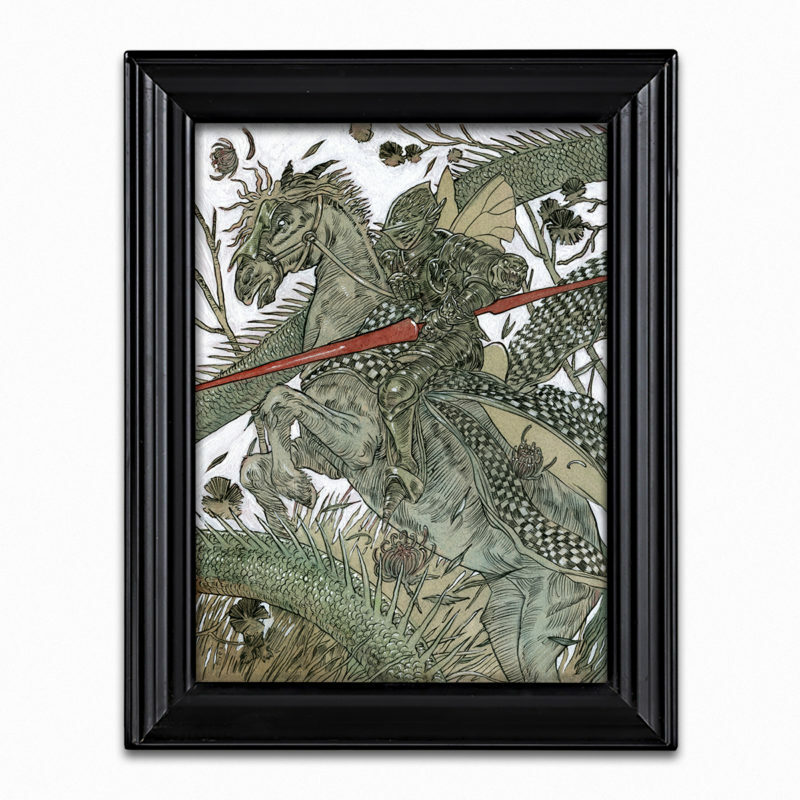 This illustration comes gallery framed with glass and is wall-ready. Saint George’s day is April 23.